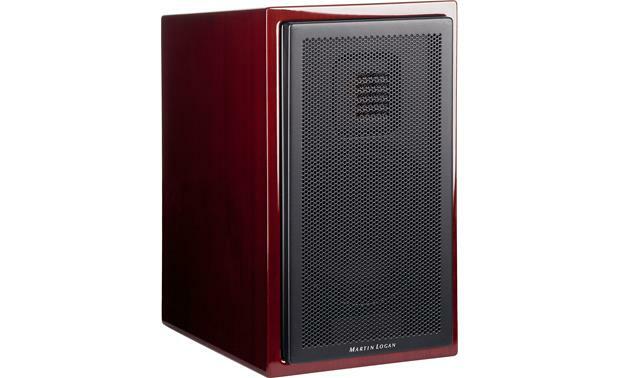 The operative word for MartinLogan's Motion 15 is "beauty." This mini-monitor has it in spades, from its furniture-grade fit and finish to its stunningly natural sound. 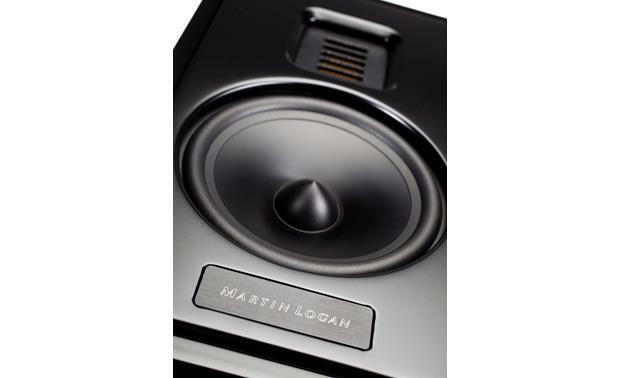 This member of MartinLogan's award-winning Motion® series features advanced speaker technologies like the Folded Motion™ tweeter. 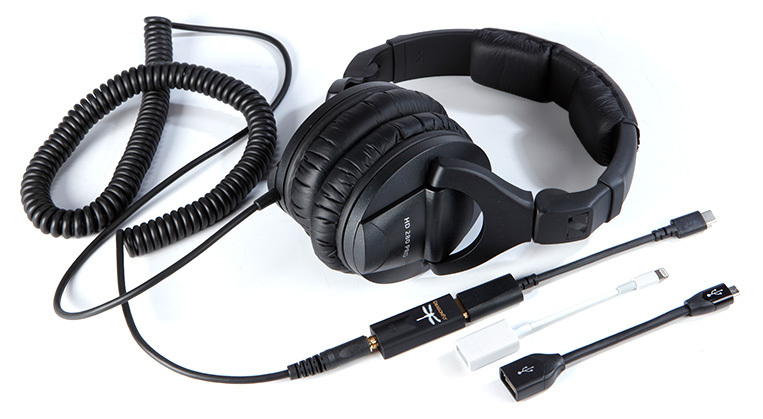 Though small in size, the Motion 15 delivers huge musical enjoyment. 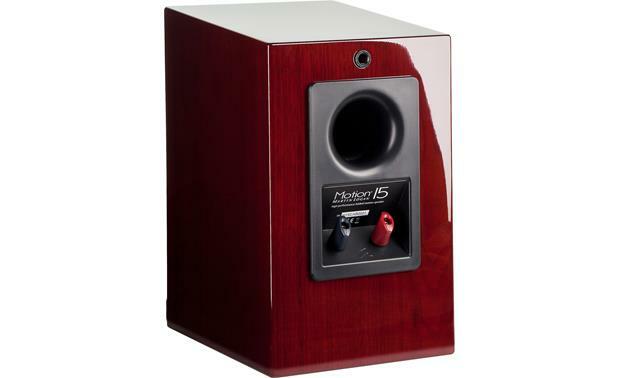 The Motion 15 uses a 5-1/4" aluminum cone mid/woofer and MartinLogan's innovative Folded Motion tweeter. MartinLogan's innovative Folded Motion tweeter uses a pleated diaphragm that works like an accordion by "squeezing" air to create sound. It requires about 90% less excursion than a typical 1" dome tweeter, resulting in quicker response time and much lower distortion. The tweeter's controlled sound dispersion creates a focused soundstage with a real sense of presence. Music sounds amazingly detailed, but smooth and effortless, without a trace of harshness. The Motion 15 uses a 5-1/4" aluminum cone woofer to supply fast, clean midrange and lower-mid frequencies that blend in seamlessly with the Folded Motion tweeter. 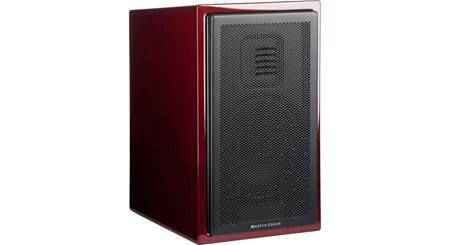 A low-turbulence rear-firing port extends bass performance, but keeps it tight and tuneful. When MartinLogan visited Crutchfield for a day of training, they had a mix of their electrostatic and dynamic models lined up in the front of the room. They started off our session with a few minutes of an atmospheric live track. 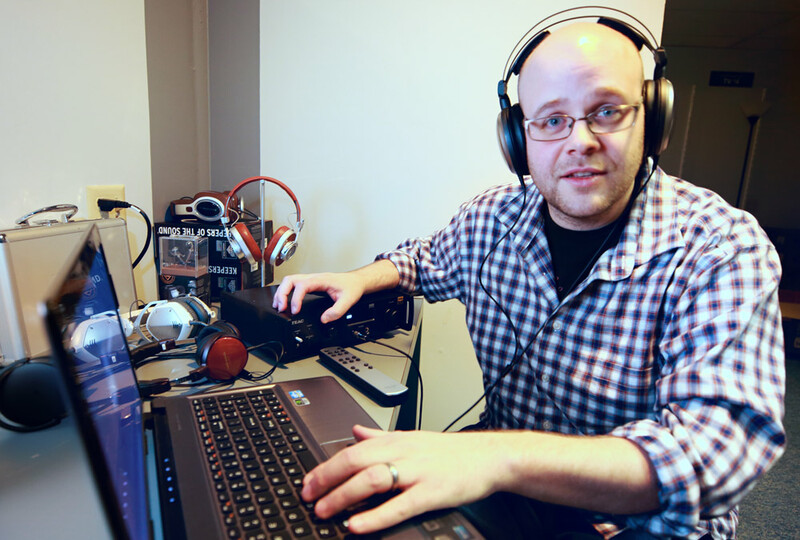 The sound was strikingly open and immediate — we thought we were listening to one of ML's electrostatic panels. Imagine our surprise when it turned out to be the little Motion 15s. Sometimes it's fun to be fooled. Love these speakers. For bookshelves they sound amazing and seem to have very good build quality. Vocals sound terrific. 2-Way Bookshelf Loudspeaker: The MartinLogan Motion 15 bookshelf loudspeaker employs a 2-way speaker design and features MartinLogan's advanced resolution Folded Motion tweeter and a single 5.5" aluminum cone midbass woofer. 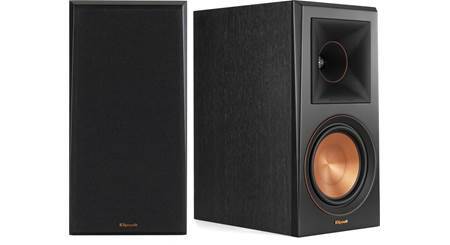 Pairing these two drivers together creates a dynamic full-range sound with an expansive soundstage. 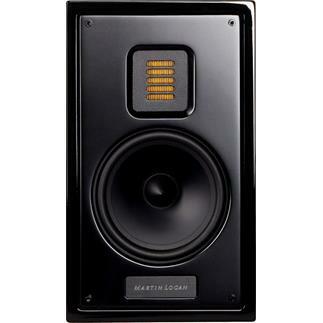 Folded Motion Tweeter: MartinLogan's Folded Motion tweeter helps give the Motion 15 bookshelf loudspeaker its natural, realistic high frequency sound. Lightning fast transient response, combined with a large surface area (8x that of a typical 1" dome tweeter) creates clear, dynamic, and precise sound. The 1" x 1.4" Folded Motion tweeter works by moving air (which creates sound) perpendicular to the folded ridges of the diaphragm, similar to how an accordion works. This extremely low mass diaphragm "squeezes" air and requires almost 90% less excursion than the typical 1" dome tweeter, which drastically minimizes distortion while providing a lightning fast response time. 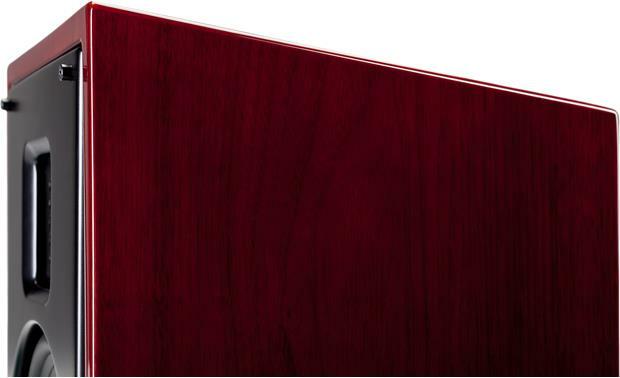 The increased surface area also provides a wide, yet controlled sound dispersion (80°x80°) to create a realistic and carefully etched sound stage. 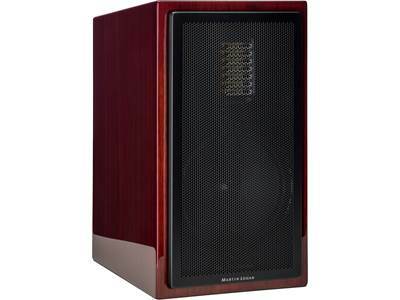 Aluminum Cone Woofer w/ Bass Port: The MartinLogan Motion 15 bookshelf loudspeaker features a high-excursion 5.5" aluminum cone woofer with a cast basket housed in a non-resonant asymmetrical chamber with a rear-firing bass port. The aluminum cone woofer uses a rigid structured dust cap to reduce cone break-up and distortion. Pairing the 5.5" woofer with a rear-firing bass port provides higher output and audibly richer, deeper bass performance. 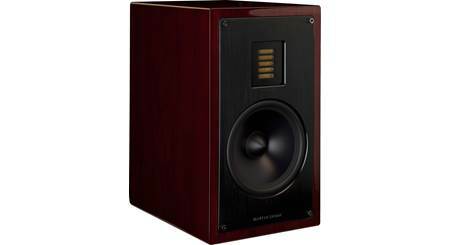 Precision Crossover: To seamlessly blend the audio output from the high frequency driver (tweeter) and the midbass driver (woofer), the Motion 15 loudspeaker features a precision 2,700Hz crossover utilizing custom air core coil and low DCR steel laminate inductors, polyester film capacitors in series, and low DF electrolytic capacitors in parallel. 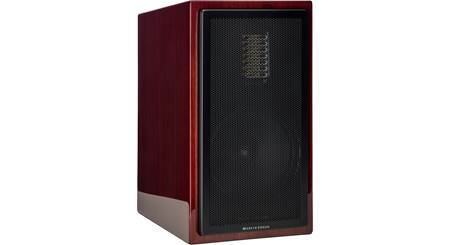 High-Gloss Cabinet: Complementing the Motion 15 loudspeaker's sonic accuracy is its elegant, yet understated styling. A high-gloss, piano black, white or black cherrywood finish, along with MartinLogan's signature perforated grille, give the Motion 15 speaker an elegant and timeless look that will blend into almost any decor. 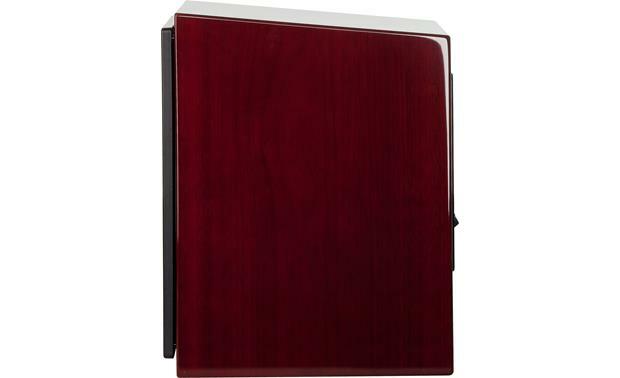 The speaker cabinet also features rounded edges and a gently tapered top. Binding Posts: MartinLogan's proprietary tool-less binding posts simplify cable connection and management. The binding posts will accept bare wire (16- to 10-gauge), pin-connectors, spade-connectors, and banana plugs (single only). 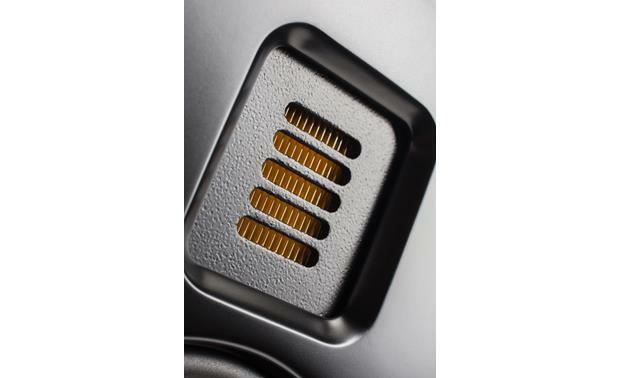 Mounting Options: The bookshelf loudspeaker comes with 4 rubber self-adhesive feet to help secure them in place on a flat-surface, prevent slippage, and reduce vibration. The optional PinPoint heavy duty side-grip wall-mounting bracket (121AM40B, sold separately) can be used to wall mount the speakers. They are pretty heavy. They do have a hole in the back that is threaded for a bolt. I would say about 1/4" probably for a specific stand. I would feel safer with them attached secerly to a shelve as you would need a double threaded bolt into a stud to hold them. They are beautiful and with only two, OMG the sound is way more then I expected. I will be getting more. 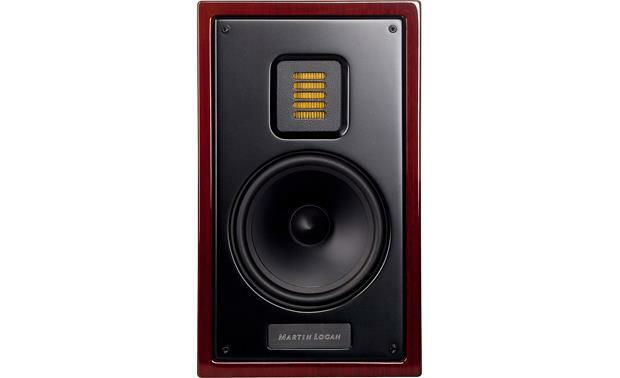 Searches related to the MartinLogan Motion® 15 Bookshelf speaker.